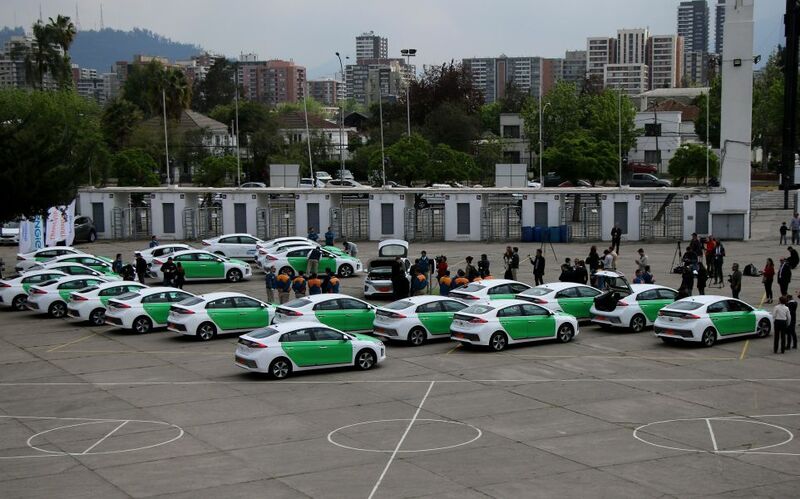 The arrival of a fleet of electronic taxis to Chile’s capital city was announced yesterday, October 17, by the country’s transport minister Glora Hutt. 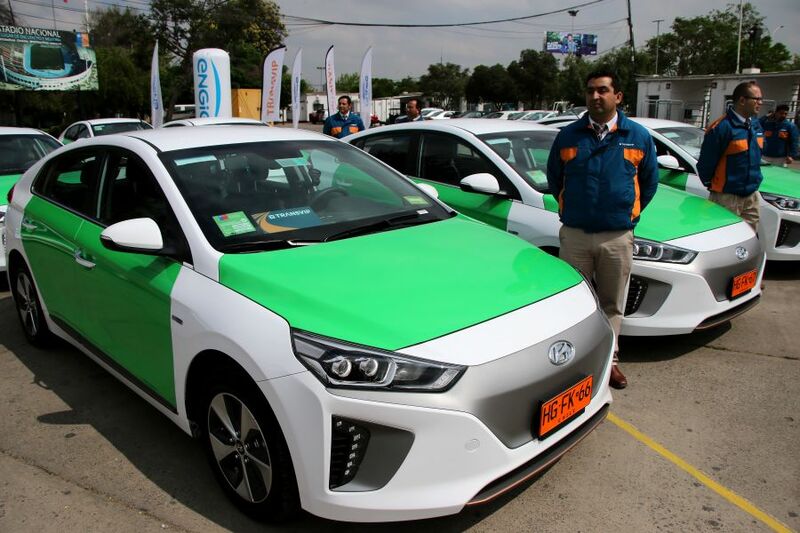 With the ability to run 200km per electric charge and, in doing so, preventing the release of 3 tonnes of co2 into the air, the fleet of 60 taxis is aimed at changing the way Chileans move around the capital, explained minister Hutt. “This is a restructuring move that will help to improve air quality in the city of Santiago, reducing noise levels and making cities more liveable, which is what we want to achieve,” Hutt commented, reported news agency Aton Chile. “We hope this change will be valued and be accessible to all, because we want energy change to be accessible for everyone,” she added. The minister explained that the electric cars have simple motors with “lower maintenance costs.” The expanse of area they are set to cover is also vast and – thanks to a partnership with airport transport service Transvip – the taxis will be able to go all the way to the city’s airport. “For now, the investment is higher than with diesel vehicles, but this will also balance out with time… we hope that with this, we will also encourage similar initiatives in the region,” Hutt stated. The introduction of 100% electric taxis was part of a private competition that saw 144 interested applicants sign up. In the end, however, the company chosen to provide the vehicles was Engie, already part of Santiago’s public transport system. “The circulation of electric taxis shows, once again, what we are achieving in Engie … offering services that create sustainable cities, with less contamination through emission-free transport,” said Engie Factory manager Rodrigo Sanchez. Clean energy pioneers Engie have already provided 100 electronic buses, as well as their charging points, as part of Santiago’s public transport system. 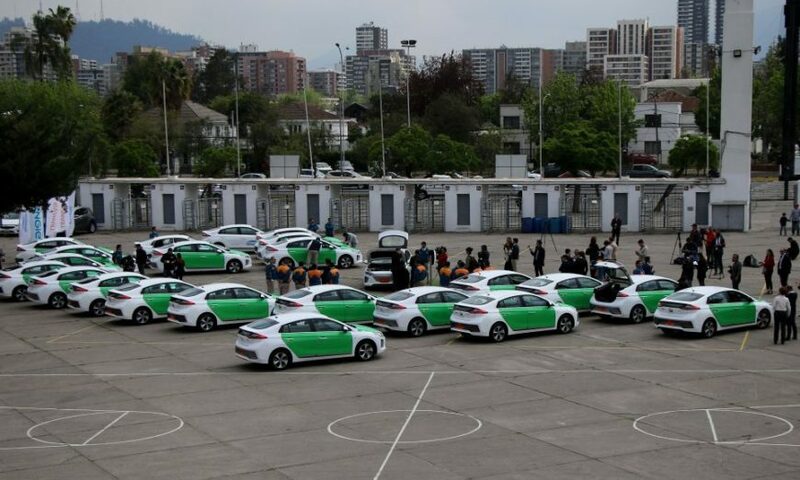 Another fleet of electric taxis is expected to be introduced in Santiago at the end of this year, with the regions of Valparaíso, Viña del Mar and San Antonio following suit. This article was originally published by Stiven Cartagena on Geektime.